Steak the way it was meant to be! 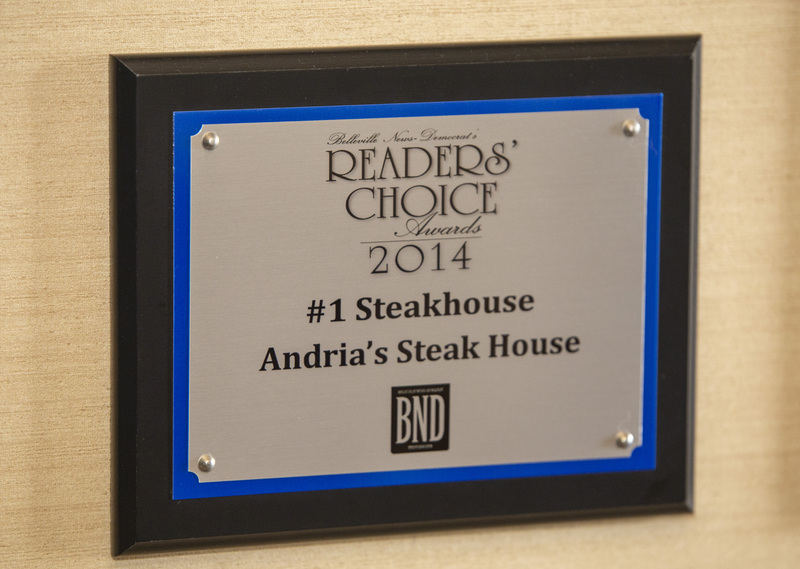 Andria's Restaurant has been delighting steak lovers and making lasting friendships of patrons for the past 40 years. Set on a knoll surrounded by evergreens, Andria's is only 15 miles east of St. Louis and a few minutes from the busyness of Fairview Heights, Illinois. 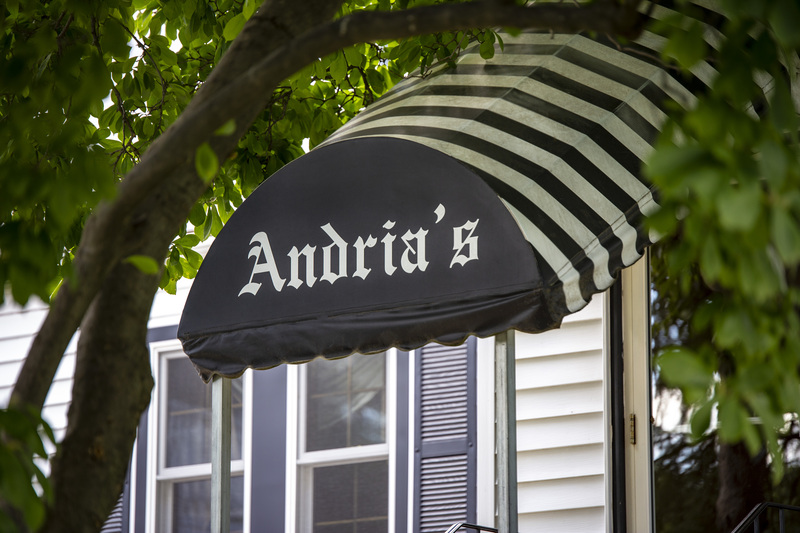 Inside, Andria's retains the feeling of welcoming guests into a home. The atmosphere is warm and genuinely inviting. For many years Mrs. Andria (Mugsy) was at the door to greet you, but Kay has filled her position as hostess with grace and professional accomodation. The kitchen and serving staff, many of whom are long-time employees, attend to your dining requests with expertise. 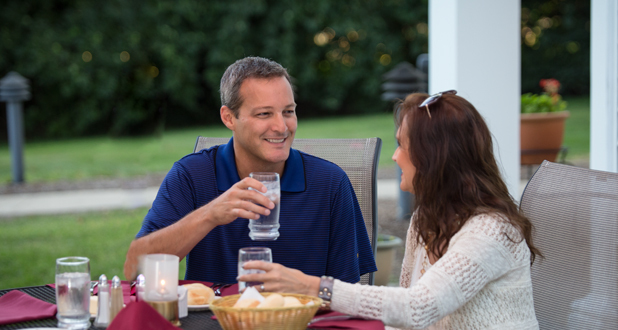 The Andria, Kenison, and Wilson families hope you enjoy dining with us.